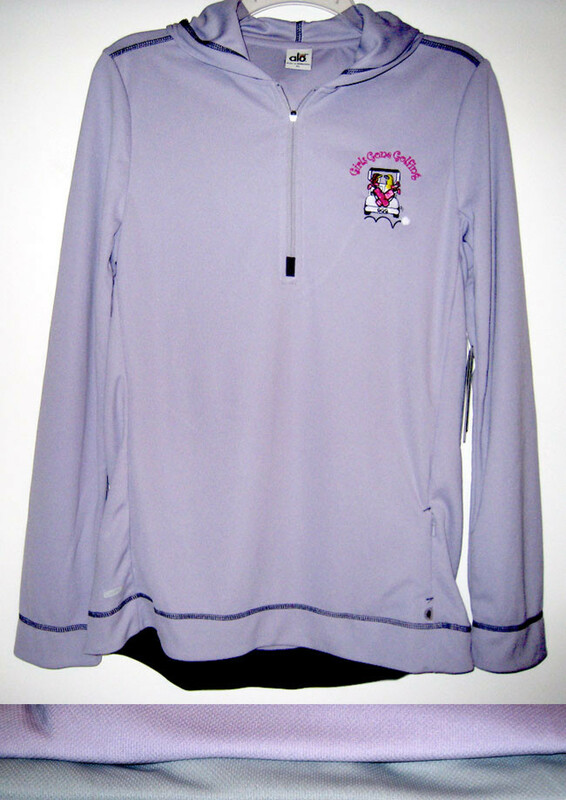 Description: Women's Long Sleeve Half-Zip Hoodie 100% polyester Birdseye knit Jacquard. Reversed YKK zipper at center front with contrast tab; hidden key pocket at wearer's left; contrast facing at sleeve and bottom hem; drop tail for added coverage; performance fabric features dry wicking capabilities which draw moisture away keeping you cool and comfortable; added anti-microbial treatment prevents the increase of bacteria and keeps clothes odor free. Runs small--order next size up.